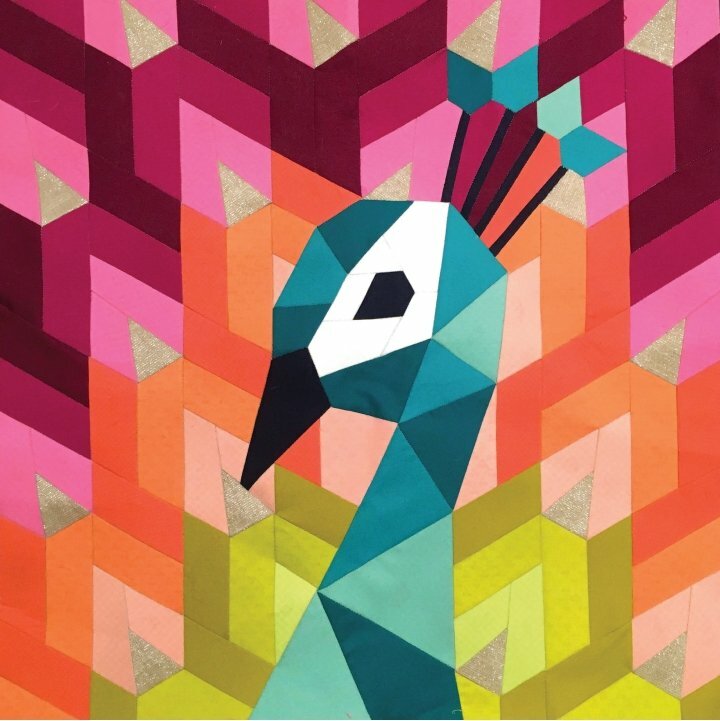 The Peacock is an English paper piecing project that finishes at 20" square; perfect for a wall hanging, pillow, or integrated into a larger quilt design. The project booklet includes English paper piecing instructions. Tutorials and additional information can also be found on Violet Craft's website.